A beautiful, smile is a powerful thing. It can change your outlook, help you overcome inhibitions and give you greater confidence – in both your professional life and when you are out socialising. 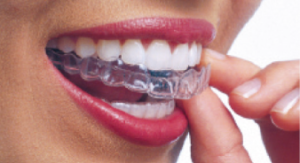 If you’ve ever thought about improving your smile, Invisalign could be the clear way forward. Developed by Align Technology together with leading orthodontists in 1997, Invisalign straightens your teeth using a series of custom-made clear aligners. Comfortable, clear and removable – Invisalign transforms your smile without disrupting your life. Something that over 2.5 million people worldwide have already discovered. 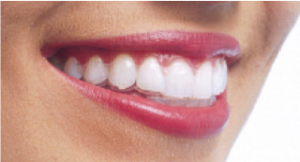 Are worn for approximately two Then you switch to a new set of aligners. Once you and your Invisalign Provider have approved the treatment plan, the aligners are custom-made to fit your The number of aligners varies for each person. Every two weeks, you switch to a new set of The aligners will gradually move your teeth towards their final prescribed position.